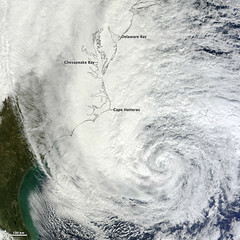 Just before Hurricane Irene last year, I remember writing a post about how that kind of event could have a profound effect on people’s priorities. 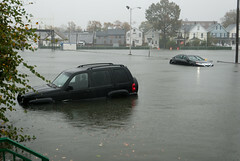 This year, the day after “Hurricane” Sandy, I can’t help but think of the misinformation. Most of the day yesterday, I followed the coverage of Sandy on Twitter, diligently retweeting what I thought was pertinent information. While my Twitter following is currently less than 200, it still feels important that the information I share be correct (especially when it comes to events like yesterday). I like to think that the content of my tweets would be the same if I had 200,000 followers, but there’s no way to know that (without actually have 200,000 followers). Some people don’t share this sentiment. Some folks might put the onus on journalists who didn’t vet the tweets, which eventually led to CNN reporting that the floor of the NYSE was flooded. It kind of reminds me a bit of CNN’s misstep this summer with the report that “Obamacare” was deemed unconstitutional. While there are these instances of misinformation spreading, there are also many positives to an instantly connected world (by way of the internet). For instance, when certain images were going viral, they were quickly shown to be fakes. In fact, both The Atlantic and BuzzFeed have posts showing examples of these from yesterday. This entry was posted in News and tagged BuzzFeed, CNN, Dark Knight, Hurricane, Hurricane Irene, Hurricane Sandy, Sandy, The Atlantic, Twitter. Bookmark the permalink.